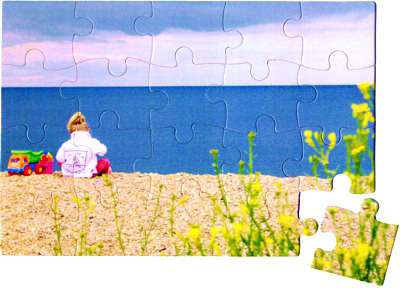 A 35-piece personalised puzzle for young children, or adults as a memento or for an instant ‘surprise’. 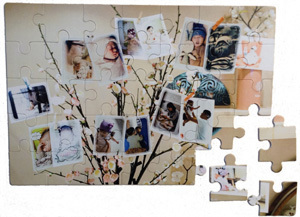 The 35-piece personalised jigsaw puzzle is perfect for young children, or can be the ideal size for adults as a memento of a special occasion or where an instant ‘surprise’ is required, such as Valentine’s Day or birthday greetings. This puzzle is supplied in a durable see-through plastic wallet.